How Far is South India Aria? South India Aria of South India Developers, a luxurious and prestigious residential development having 2.5BHK and 3BHK apartments will be coming up in the rapidly expanding residential vicinity of Chennai. Its proximity to hospitals, government schools and other reputed schools, colleges, banks, supermarkets and specialty restaurants will make it a dream destination. RCC isolated footing with framed structure. External walls plastered with cement mortor and painted with two coats of putty and exterior quality emulsion paint â€“ Internal walls plastered with cement mortor and painted with two coats of putty and emulsion paint over one coat of primer â€“ Common area wall and ceilings will be painted with emulsion over putty finish. 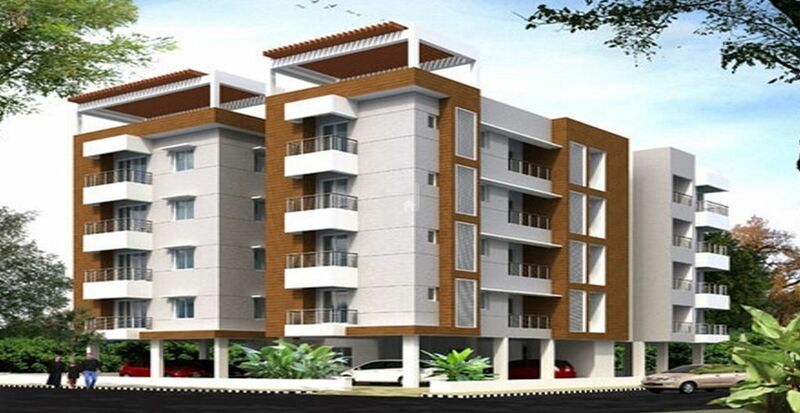 2'x2' Vitrified Tile RAK or equivalent in living, dining , kitchen and Bedrooms â€“ Antiskid tile flooring in toilet and Balconies â€“ Granite top for kitchen platform â€“ Designer tiles for toilet upto 7'0â€� height and kitchen dado(2'0â€� above platform) â€“ Common areas finished in graniteâ€“ Car parking finished with cement tiles. Three phase supply with Concealed wiring â€“ Anchor woods or equivalent modular switches â€“ Telephone, TV and Broad band jacks in all bedrooms and Living room â€“ Centralized cabling system for DTH services â€“ Invertor provision for all apartments â€“ Exhaust fan provision in Toilets & Kitchen. CP fittings â€“ Kohler or Groheâ€“ Power and Water outlets for water storage heater. Generator backup for lift pumps and common area lighting. We at South India Properties believe that - Design & Construction is not just the act of working out the form of something or creating a blueprint, but something intended as a guide for making something else; that every design is made for a specific role or purpose or effect.It is an important step in the manufacturing of anything.This step just follows the step in which specifications from the clients are retrieved. Which is why, We do not stop just with creating the product based on our client needs but also ensure that the product successfully takes shape exactly as required.To realise creative ideas in today's environment is often easier said than done. To ensure a smooth transition from the concept stage to reality, We not only emphasise on not creativity but also back it up with strong project management skill sets aided with the state of the art management systems critical to every project's success.We are a young, passionate, and an accomplished team of Engineers , Architects & Designers and we believe in being flexible yet dynamic and adapt to the changing needs of the environment thereby deliver all projects within time and budgets as stipulated.Our repeat clients are ample proof of our capabilities and our unbridled enthusiasm to deliver the best in the industry today.